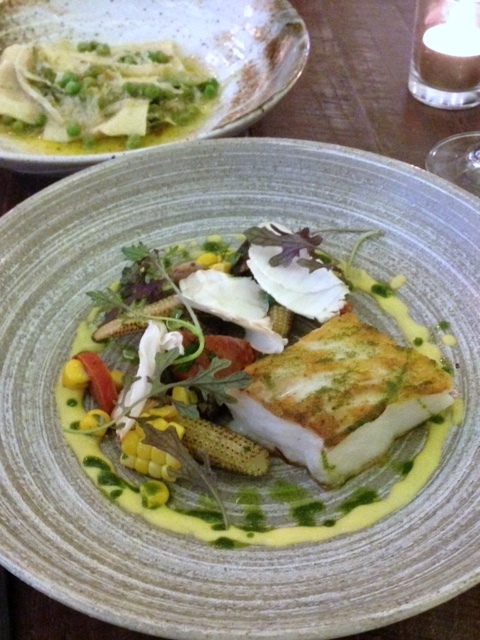 Cod with corn, chorizo, Paris brown mushrooms (£10) was also satisfying with the cod being perfectly cooked. There was a corn puree that provided a sweet dimension to the dish, and pieces of crunchy baby corn and savoury mushrooms that worked well on the plate. 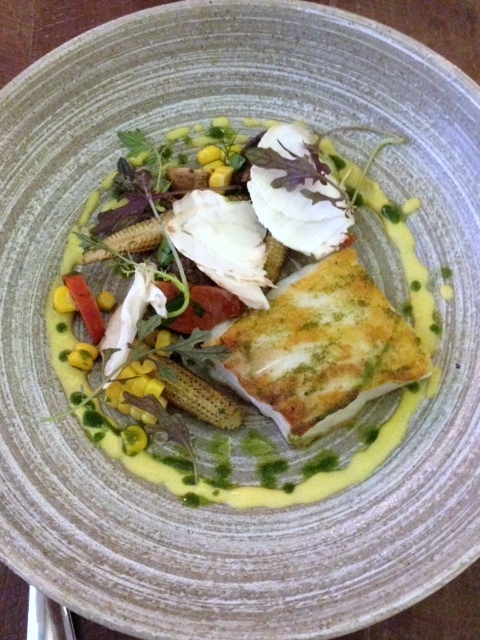 It was an exciting combination of flavours, with each element being perfectly executed. However I would have preferred more sauce on the plate to really bring the dish together. 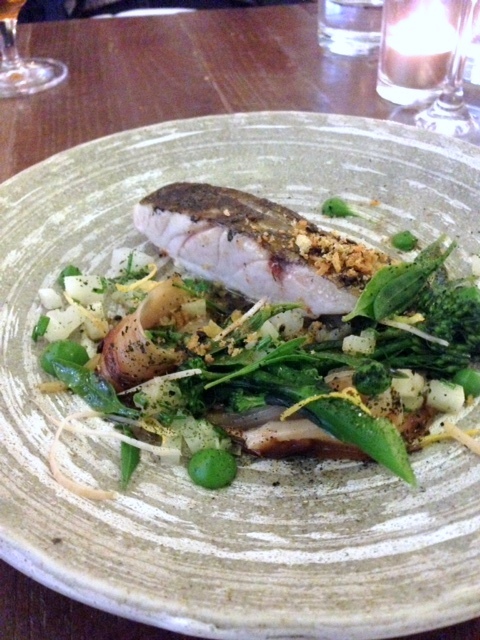 Stone bass with roasted shallots and sprouting broccoli (£10) was a fabulous dish and the highlight of our meal. The fish was delicious – moist, soft and tasty. The bass had been topped with a sprinkling of thyme and sea salt breadcrumbs that provided lots of umami to the fish and which really set it alight. Also lovely was the soft, sweet shallots and the perky broccoli. 28 day aged cut of bavette beef (£12), cooked sous vide and then charred, was wonderfully tender, succulently and nicely marbled with just the right amount of fat running through it. It was slightly more cooked than I would have liked, but I was pleasantly surprised by its flavour, tenderness and the beauty of its marbleisation. To complete the dish was a pleasant bone marrow crumb and a delicious red wine sauce. This was another wonderful plate of food. 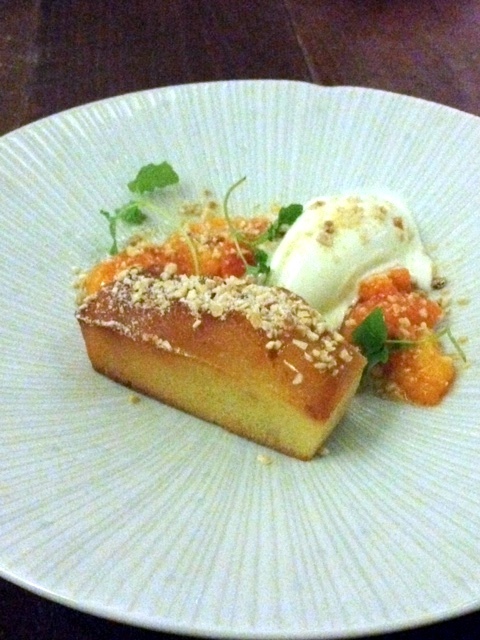 Warm almond cake with apricot and frozen lemon thyme yoghurt (£6) was pleasant if somewhat underwhelming. The cake was quite small, and although buttery and light, its delicate flavour was overpowered by the sharpness of the apricot and the citrusy yoghurt. Like all the other dishes the dessert was well presented, and there was definitely skill on show. But the cake should have been the star of the plate and it wasn’t. 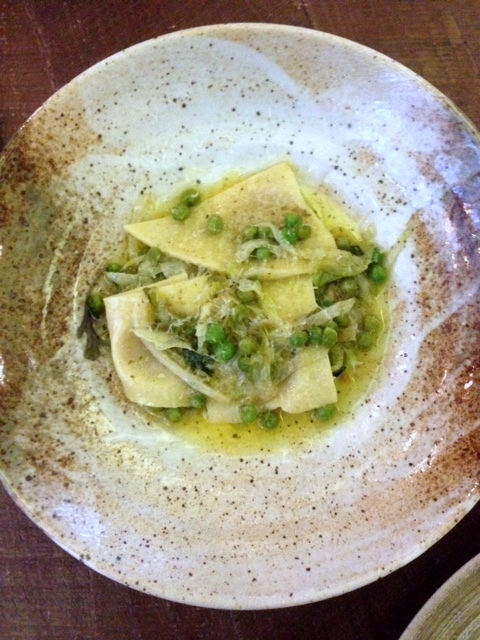 The food at Picture Marylebone was impressive. It was innovative and original, expertly executed, refined and pretty as a picture. Serving as a counterbalance to the high end cooking and the expert service was the simplicity of the concept behind the restaurant – from the minimalist décor, to the reasonable prices, to the concise menu. This made Picture Marylebone accessible to all. I really enjoyed Picture Marylebone, and would happy go again. 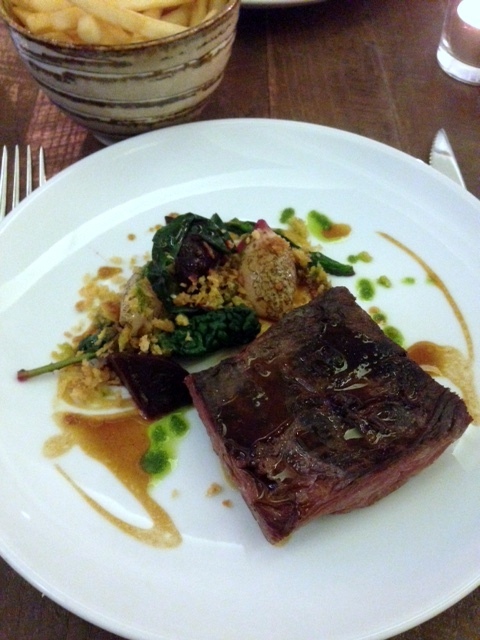 1) Favourite dishes were the stone bass and the 28 day aged beef, but all the savoury dishes that we tried were classy. 3) The price point – very reasonable. 1) The weakest dish was the almond cake. Price: About £40 for three savour dishes and one dessert from the a la carte menu. Also £40 for the tasting menu. Excludes drinks and service.